MSC Cruises has announced that MSC Bellissima will be based in Asia after her inaugural season. The upcoming MSC cruise ship will sail from China and Japan in 2020 and become one of the largest ships in the region. The second Meraviglia class ship named MSC Bellissima will showcase the best of MSC Cruises to Asia when the large mega ship is deployed there in Spring 2020. The ship will mainly sail from Shangai, China but there will also be a number of sailings from Japan. The cruises will be open for all and the cruise line will cater not just for the Chinese and Japanese but also international cruisers too. The news of MSC Bellissima deployment was revealed by the cruise line in China as MSC Splendida started her new cruises in Asia after completing a Maritime Silk Road sailing from Dubai, UAE, to Shanghai, China. 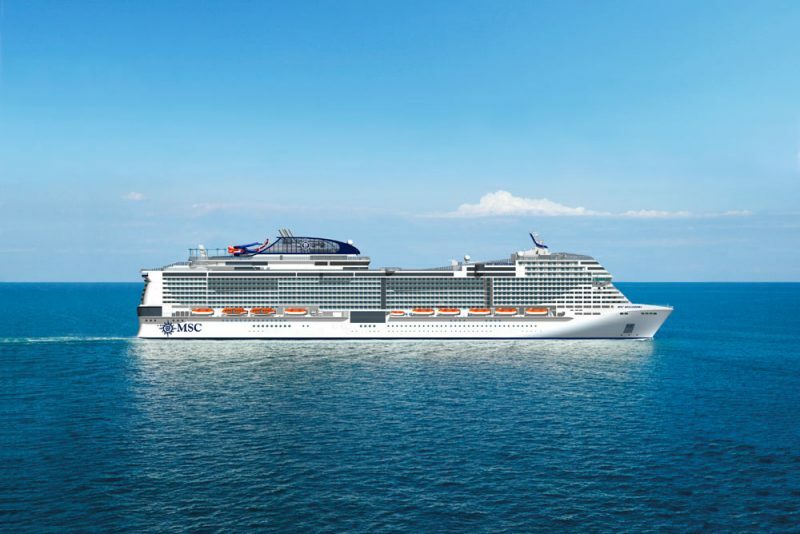 The upcoming MSC cruise ship is currently under construction at the STX France Shipyard in Saint-Nazaire and is scheduled to be completed in May 2019. The ship will be sister to MSC Meraviglia which already joined the fleet in 2017 and is currently the largest ship in the fleet. Once in service and delivered MSC Bellissima will begin her inaugural season in the Mediterranean in March 2019. There will be many popular ports of calls featured during her first season including visits to Genoa, Marseille, Barcelona, Naples, Messina in Sicily and Valetta in Malta. Booking opened up in 2017 for these stunning cruises which MSC Bellissima is offering. MSC Bellissima will be 167,800 gross tons with a guest capacity of 5,700. The future vessel will feature an 80-metre-long LED dome over many dining venues and stores. There will be a large water park, 2 brand new Cirque du Soleil shows along with a choice of 20 bars and 10 restaurants.